Once upon a time, in a land far away, a team of seven dressed up for the day! 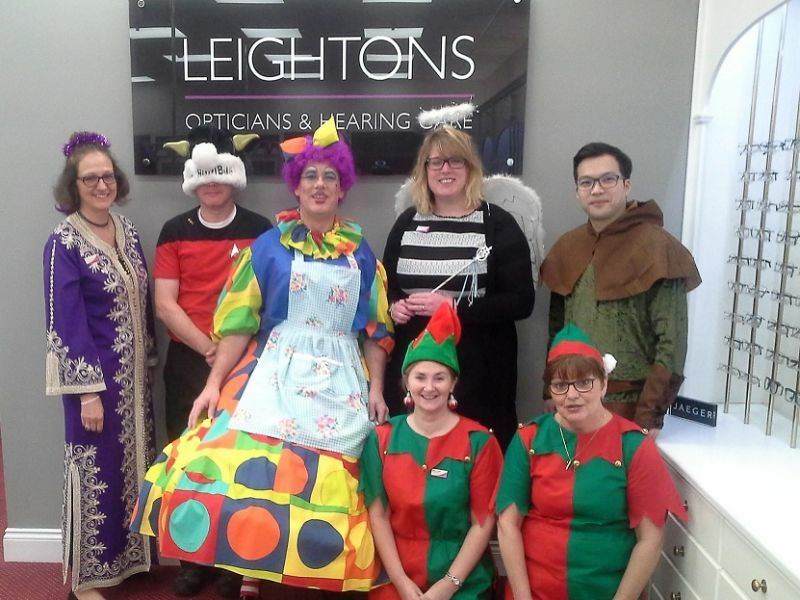 A dame, a King, Robin Hood and two elves, set up the branch, all glasses on shelves. Robin Hood, an angel, and only one Scrooge joined in for a photo – their smiles were huge! Only fundraising for Honeypot Children’s Charity, would get Andy in a dress – definitely a rarity! Mince pies and laughs were had by all. Andover branch donated their haul To help a cause providing support, giving children the chance to visit an idyllic resort. If you too would like to donate, visit the branch – the atmosphere’s great! To get the details, go online for more information (than this terrible rhyme). Andy and his entire team are a real credit to your company. They are always happy, friendly and only too willing to help, even without an appointment. Andy is a brilliant manager and handles my children very well. The entire branch, especially the ladies on reception are amazing! Upon a visit to my daughters (and as I am not local to the area) I was receiving eye pain, so I literally walked in off the street whereupon I was met with the receptionist who quickly made me feel at ease, and then promptly dealt with my concern. The optician (Helena Jenkins- Hewes) was so receptive to my needs and assisted to help me in such a calming, caring & reassuring manner. She actually treated me like a person and not just “another customer to process for company stats”. Through her compassion and diligence, I was quickly sent to the Winchester hospital for further treatment. Thank you for the service and quality of standard that you gave to me and I am sure to others.